BLOG: What Makes a Good Wood Flooring Company? What makes a good Wood flooring company? It is no secret that there are a variety of wood flooring companies. It can sometimes be extremely difficult to spot a good wood flooring company because of how many of them there are to choose from. There are several methods that people try in order to determine which wood flooring company would best suit their needs, below are 5 easy-to-use tactics to navigate the storm. They either end up paying too much money or choose the cheapest option, who then turns out to be a subpar company, that doesn’t turn out the goods. No need to worry though, we have got you covered as we will discuss in this article some things that you should look out for in order to determine a good wood flooring company. Quality is something that you should never compromise on, even if it means slightly increasing your budget. Good quality hard wood floors will last for a significantly longer time and will save you money as well. You should take your time to determine which company has the best wood flooring options and uses good quality products to complete the floor. Sure, this would take up some time but you will end up with a top quality product in your hands or under your feet in this case. Read reviews, ask previous customers or get a recommendation from a friend about their experience, these will all help you narrow down the field. It is common to find wood flooring companies that charge a lot of money. Yes, wood flooring is not that cheap, but it isn’t as expensive as what most companies make it out to be either. It would be wise to compare prices, from like copmanies in apples-to-apples bids to find out the market rates for wood flooring. You should also look out for companies that are charging unusually small fees as most companies using this tactic are either inexperienced, desperate for work, or using subpar products, flooring or cutting corners. You can easily see a good wood flooring company by evaluating the flooring options they have to offer. Good companies will provide you full assistance, professionalism and deep knowledge during the selection of your wood flooring. Another good question is, do they have a showroom? Look for companies who have inveseted money into develpoing a wide offerring and a showroom to help you choose and see, first hand, the right product for your home. Allowing you to explore all the options. These are two things that make or break wood flooring companies. 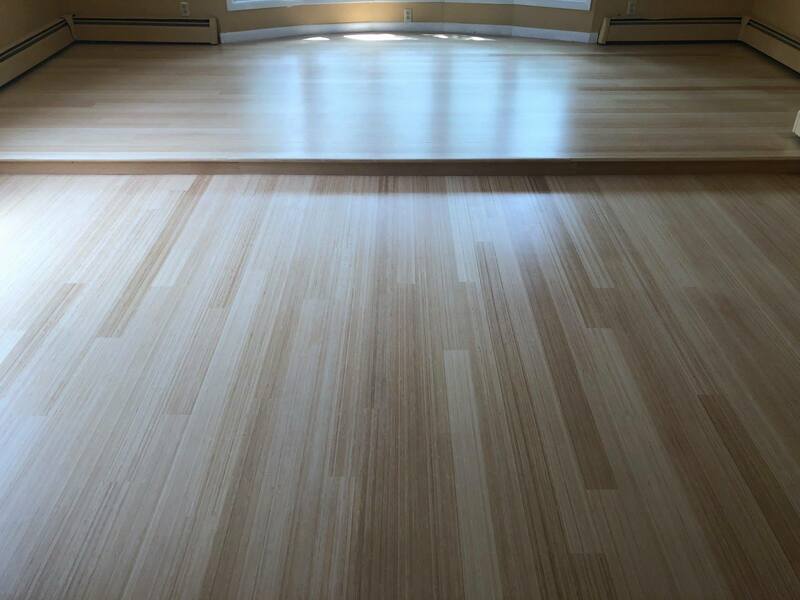 installing, sanding, staining and re-finishing wood flooring requires a lot of experience. Yes, almost anyone can attempt to buy and install wood flooring at their houses, but they won’t be able to install and finish them with the finesse that good, experienced wood flooring companies and crafstman have. Look at their history, do they have a history, is it good or bad, can you find it. Read reviews across multiple platforms and length of time in business, all these factors can help you feel alot more comfortable when chosing a copmany. If a company’s catalogue, website and showroom have a variety of different wood flooring resources, helpful, professional staff who are passionate and knowledgable, the chances are that company will be a solid bet to produce a top quality floor at market realted prices. They provide their clients with different resources to help educate them, so they can make an informed decision about their wood flooring options. This makes the entire process from the first phone call to book a free estimate through to completion, much less stressful. These companies will also help you choose the type of wood that would best match your house’s design and location. Two further items that I keep my eye on, are effective communiction and timeliness. If a company chooses, from the beginning to communicate openly and often and is on-time for the estimate I am always impressed. There is nothing worse than bad/no communication and tardiness.